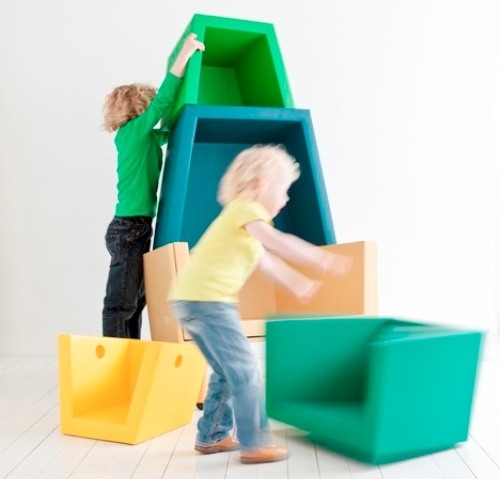 This is such a super-cute and space-saving idea – the groovy colours and potential for play make it even more appealing! 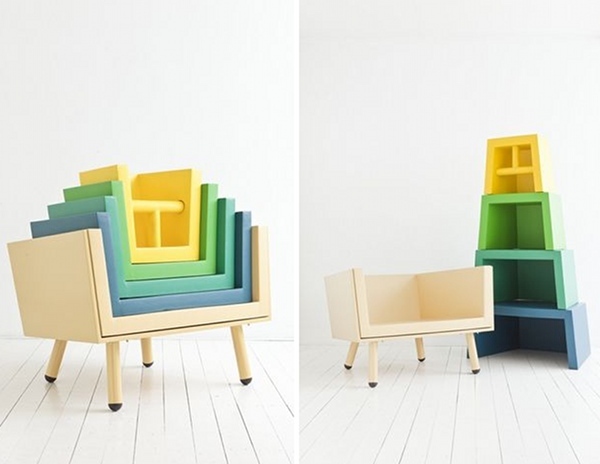 It’s the Stacking Throne and it’s seating that can be piled high, unpacked and nested. Designed by Laurens van Wieringen, the Stacking Throne was privately commissioned for a one-year-old girl with the aim that she could take it with her throughout her life stages. Not a bad heirloom if you ask me! The coloured pieces are made from foam so it’s not dangerous to stack them high. I sense a very playful approach to life in this colourful piece and can only imagine the high-jinks my boys would get up to with it! It’s really worth heading over to the Laurens van Wieringen site to check out the other amazing design objects by this upcoming talent.